Stretching from Pike Place Market to the Museum of History & Industry (MOHAI), Market to MOHAI is a safe, engaging pedestrian corridor connecting Seattle’s Waterfront, Belltown, Denny Triangle, and South Lake Union neighborhoods. The corridor will serve residents and visitors alike as they commute to work, shop, and enjoy our vibrant, evolving city. 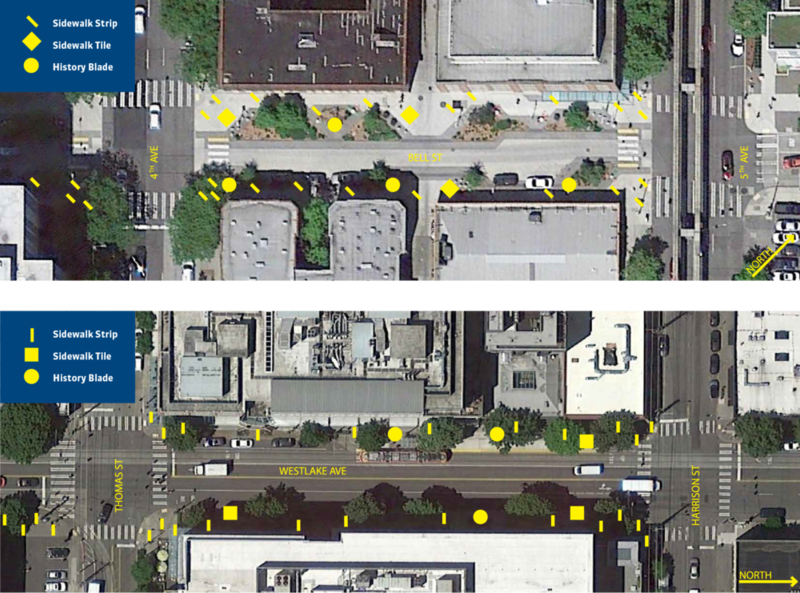 Two blocks of the Market to MOHAI Corridor - one on Westlake Avenue North between Harrison and Thomas and one on Bell Street between 4th and 5th Avenues - have been selected for short term testing of the Corridor Identification Elements. These prototypes will be on display from August 10 to August 26. Feedback will be gathered to inform the full design and implementation of the Corridor.